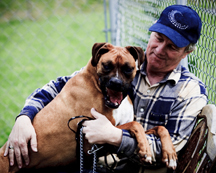 Making a planned gift to HSCC is a wonderful way to carry on your concern and compassion for animals. In addition, this type of gift may help you reduce or eliminate certain tax liability. We will gladly discuss any planned giving option – in confidence and without obligation. To make a bequest in your will is probably the most straightforward planned giving option. A will is essential, regardless of your age or financial status, to ensure that your property is distributed according to your wishes. The federal estate tax can still take approximately 40- 50% of one’s estate at the time of death. It definitely pays to do some advance planning with your attorney or other professional adviser. We hope you will consider a charitable bequest in your will, to benefit HSCC while you save estate tax dollars at the same time. Specific Bequest: This would direct a specific dollar amount or property to pass to HSCC. Percentage Bequest: This designates a percentage of the total value of the estate as a gift to HSCC. Residual Bequest: This directs that HSCC receives a remainder of the estate or a portion of the remainder, after all expenses and other bequests have been made. A bequest to HSCC is not subject to federal or estate taxes and there is no limit on the amount of the deduction. Do you have a life insurance policy that is no longer needed to provide for dependents, then why not consider making HSCC the beneficiary. This gives you the possibility to make a significant gift to HSCC without using any of your estates capital. An additional option would be to make HSCC both the beneficiary and owner of a paid up policy. This will earn you an immediate tax deduction equal to the policy’s cash value. For further details contact your policy’s issuing agent. An easily planned giving option is buying a Certificate of Deposit (CD) at your local bank and name HSCC as the beneficiary, payable-on-death. The CD can remain on deposit earning interest until the holder’s death; at this point HSCC will receive its value. It is important that the CD automatically rolls-over and maintains the beneficiary designation. For more details, please fill out the form below. A Charitable Remainder Trust can be a very good option for anyone who owns appreciated assets (i.e. a rental property) and wants to receive income for life. A donor can transfer their assets to the trust, where it is sold, avoiding capital gains tax. The proceeds are invested, and the donor or other beneficiary receives payments for a set term or life. At the end of the trust’s life, the remaining principle is a gift to HSCC. For further details on a Charitable Remainder Trust consult your attorney or other professional adviser. A Charitable Lead Trust is the opposite of the Charitable Remainder Trust. In this case the donor agrees to give an asset to HSCC for a set number of years. A Charitable Lead Trust can be set up during your lifetime or through your estate plans. While the trust will not provide you with an immediate income tax deduction, you can exclude the trust’s income from your own income, thereby reducing your taxes. A Charitable Lead Trust may make sense for donors who exceeded the annual limits on income tax deduction for charitable gifts. For further details on a Charitable Lead Trust, please consult your attorney or other professional adviser. Gifts of appreciated property can be given to HSCC through a donor’s will or living trust. A donor would receive an estate tax charitable deduction for the full value of the property. To substantiate an income tax deduction a qualified appraisal (obtained no earlier than 60 days before you make the gift) is required.